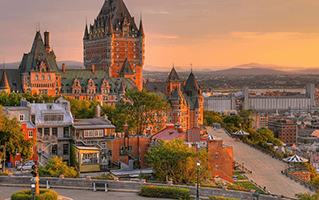 Montreal is situated in the southwest of the province of Quebec in Canada. It is the second largest city in Canada and is known for its churches. Commuting in a big city like Montreal can be a headache, but with the premium Hertz car rental services operating in Montreal, travelling is set to become easier and comfortable. One of the world's primary French speaking cities, Montreal has a population of over a million people. It is revered as a melting pot of cultures perfectly blended to add to the diversity of this place. This can be evidenced by the fact that Montreal's vivacious neighbourhood features people from different cultural backgrounds, coexisting in harmony. Hertz Rent-a-car is a pioneer in car rental services serving over the last 90 years. Whether renting a car for vacation or business enterprise Hertz provides a fleet of premium luxurious cars and sports vehicles to meet every car rental need. Irrespective of whether you're in Montreal for work or pleasure, you might be interested in availing car rental services. Car hire services allow you to leisurely explore Montreal without any hassle pertaining to travel logistics. Car agencies take care of everything, offering complete peace of mind. The rates of rental are affordable, not compromising however, on the quality of the services. The culinary variety further stresses upon the diversity factor. The platter served here is an eclectic mix of food from around the globe. Book a car of your choice today to avail the many seasonal discounts and visit the city of Montreal! Opening hours: Mon-Fri 7:30AM-5:30PM, Sat 9:00AM-1:00PM, Sun Closed. Opening hours: Mon-Thurs 7:00AM-6:00PM, Fri 7:00AM-8:00PM, Sat 7:00AM-3:00PM, Sun 8:00AM-4:00PM.